But when Jonah made himself a booth and sat down opposite the city of Nineveh, waiting to see what would befall it, the prophet played a part of different significance. He was a type of the carnal people of Israel, for he was sad over the preservation of the Ninevites! He was frustrated over the redemption and salvation of the Gentiles! This is why Christ came to call "not the just but sinners to repentance." But the shadow of the vine over his head was the promise of the Old Testament. Its law manifested, as the apostle says, "a shadow of things to come." God was offering shade from the heat of temporal evils in the land of promise. But the worm came in the morning. It gnawed at the vine and withered it. For when the gospel had been published by Christ's mouth, all those things withered and faded away. The shade of the vine symbolized temporal prosperity for the Israelites. And now those people have lost the kingdom of Jerusalem and their priesthood and sacrifice. All of this was a foreshadowing of the future. They were scattered abroad in captivity and afflicted with a great flood of suffering, just as Jonah-so it is written-suffered grievously from the heat of the sun. 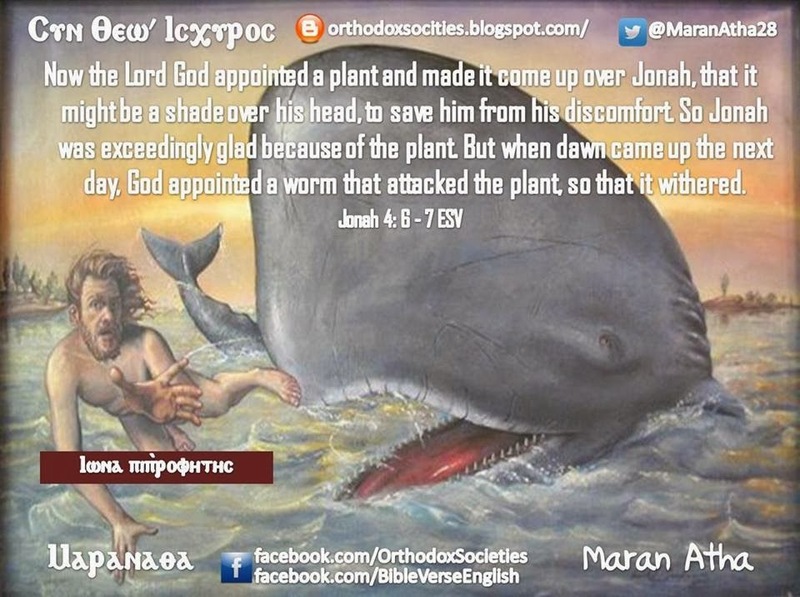 Yet the salvation of penitent nations is preferred to Jonah's suffering and the shade that he loved.